I’ve been busy working on the latest round of the Fall 2017 One Room Challenge, and most recently we were gifted 2 new Leesa® mattresses for my Modern Rustic Glam Shared Girls Bedroom. 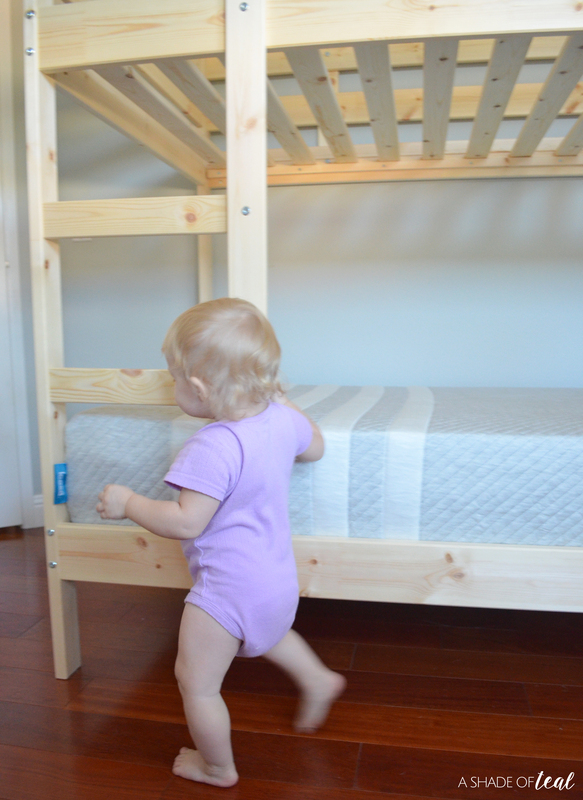 These mattresses have been amazing and I’m loving how convenient they are! Leesa® is an innovative new direct-to-consumer online mattress company where their mattresses get shipped directly to you in a box. It’s such a convenience to order on-line and then have it delivered right to your doorstep! More importantly, they’re pretty light weight and ready to be used in minutes! 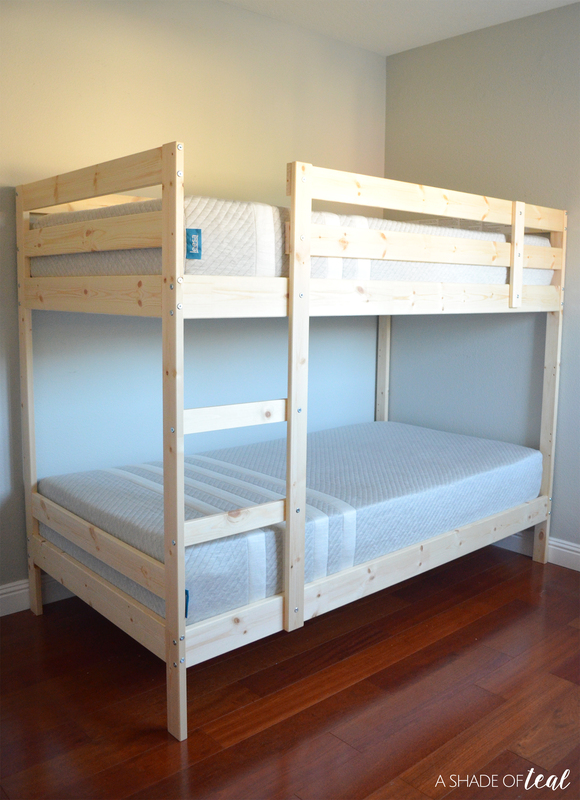 I ordered and received 2 twin mattresses for my shared girls bedroom to be used on their new bunk bed. Setting them up was super easy! I brought both boxes up to their room and then starting unpacking. As soon as you start opening the box you’ll notice step by step instructions on the top inside of the box. 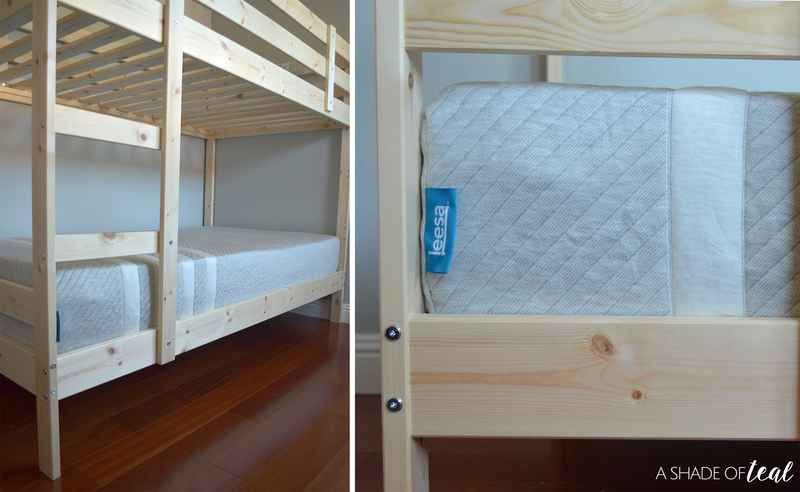 After you unbox the mattress you’ll then move it to the bed frame or where you want it. From there you’ll cut the exterior plastic wrap and unroll the mattress. Finally, you unwrap the last piece of plastic and watch it grow! This part was amazing, as it quickly expands to a full size twin. For my top mattress, I ended up unwrapping it on the floor and had my husband help me position the mattress in place. 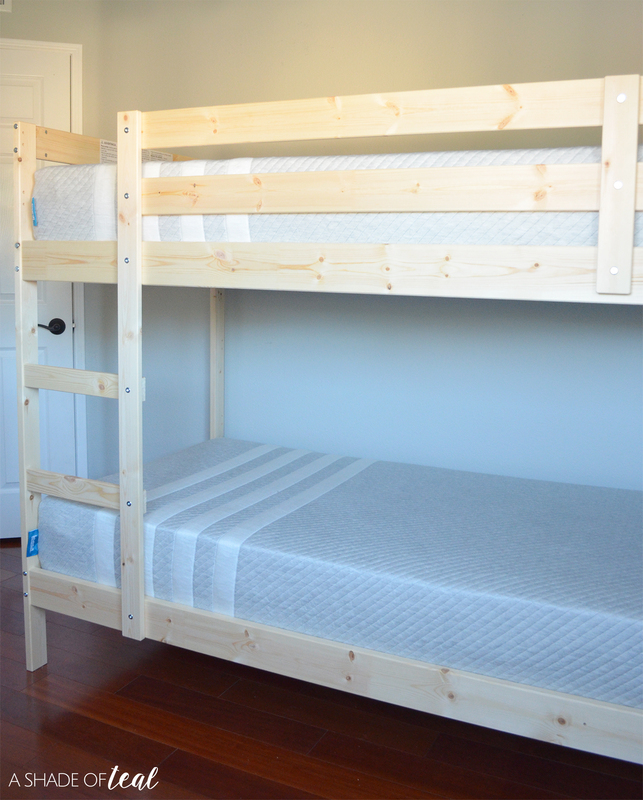 My girls were so thrilled to finally have new mattresses on their bunk beds! Not to mention, these Leesa® mattresses are incredibly comfortable! Leesa® also offers a 100-night risk free trial. 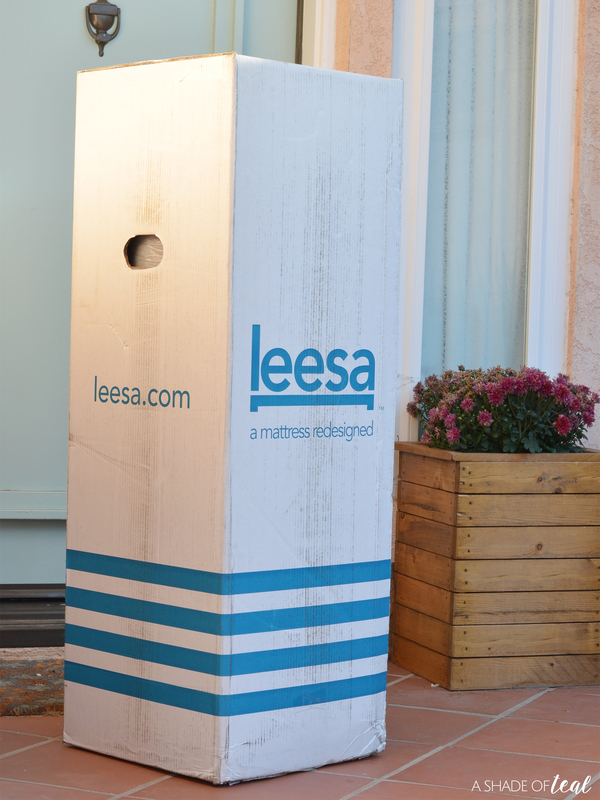 If you don’t love your mattress, then Leesa® will arrange to come pick it up from your house. So far, we’ve loved them! My oldest has slept the entire night in her new bed for the last week. That’s saying something, since she definitely wasn’t doing that before this mattress! My youngest is still in her crib, but as soon as her baby brother arrives I’m hoping she’ll love this mattress as much as her sister. She definitely loves laying on them during the day! They’re available exclusively online and is 100% made in America. Ships compressed in a box directly to your door – for FREE!!! (US, UK & Canada). Is a 10” hybrid foam mattress with a universal adaptive feel. Constructed with three layers of premium foam: Top: 2-inch Avena™ foam top layer perforated to keep you cool and provide cushiony bounce. Middle: 2-inch memory foam middle layer for body contouring. Bottom: 6-inch dense core support foam for durability and edge support. All of Leesa® mattresses start at just $525, and all sizes are priced below $1,000. What’s even more exciting is that I have a promo code to offer all my readers $100 Off your very own mattress! Or, if you shop this week (11/19-11/24) They’re offering a great deal for Black Friday, get $125 off the Leesa® Mattress or $250 off the Sapira Mattress + a free pillow. 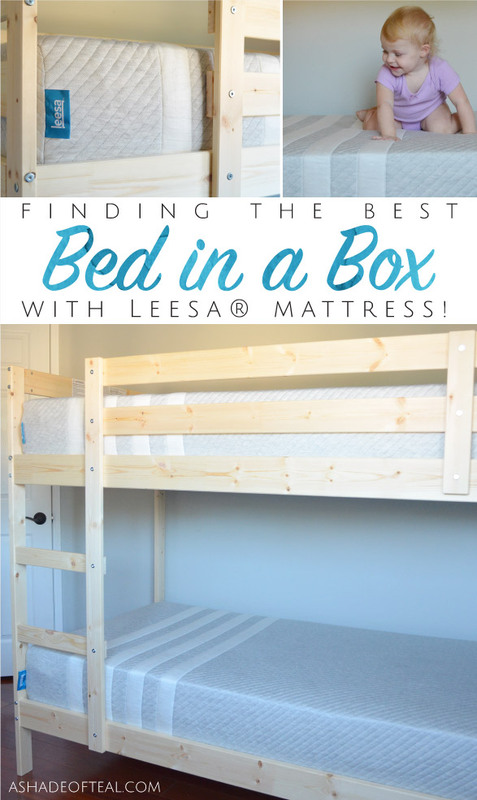 So ready to try the Leesa® mattress? We love ours, plus I can’t keep my daughters off them! Make sure to follow my One Room Challenge progress of my Modern Rustic Glam Shared Girls Bedroom and go purchase your new Leesa® mattress here! « Rustic Industrial Baby Boy Nursery // ORC The Reveal!